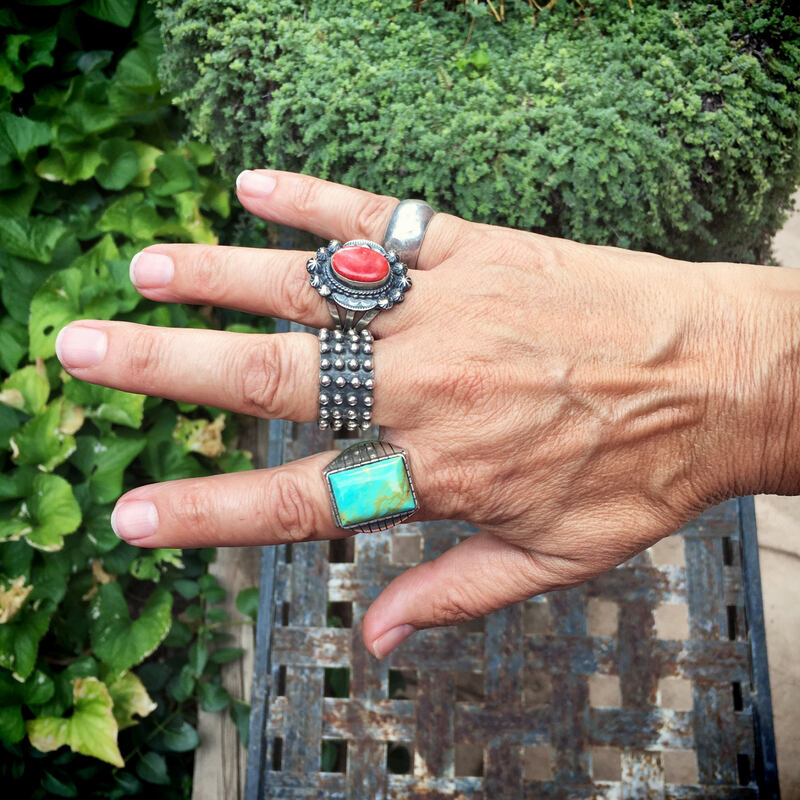 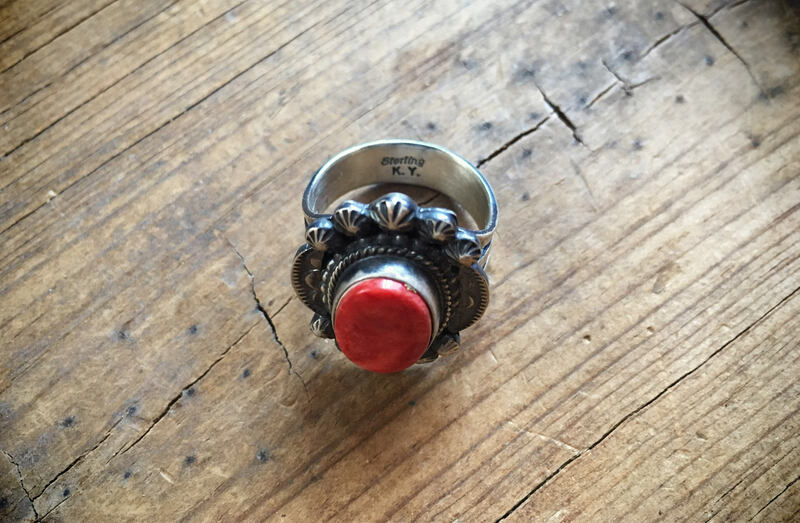 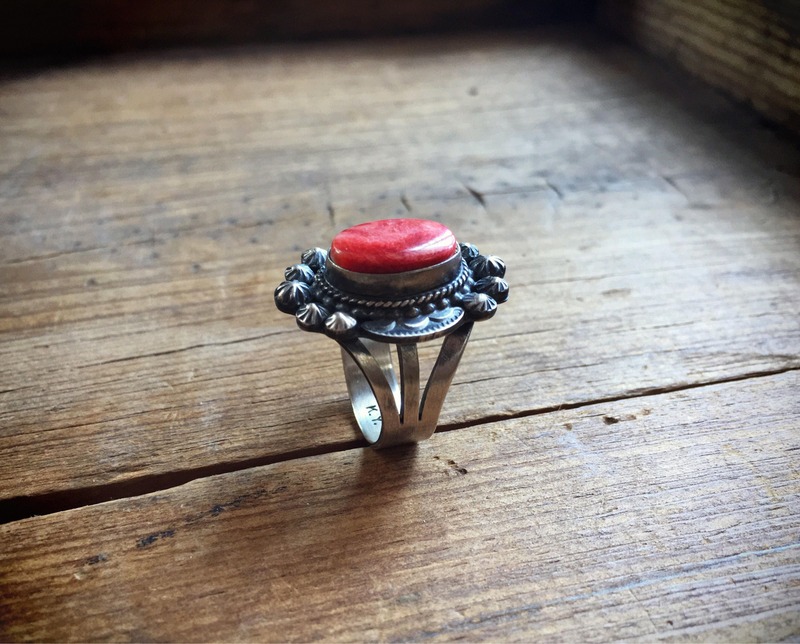 Here we have a gorgeous ring by Navajo artist Kevin Yazzie, featuring red spiny oyster striated with lighter shades of red, surrounded by a stamped sterling silver border. 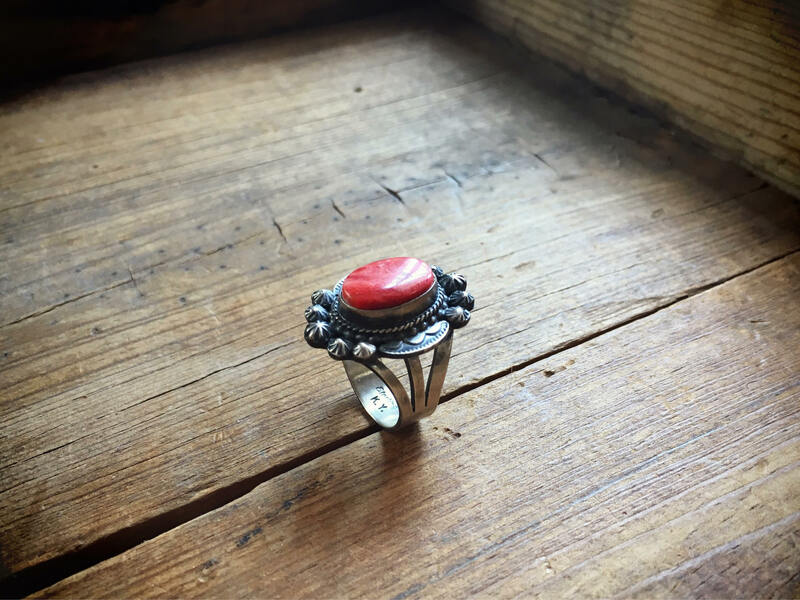 The silver around the cabochon is oxidized and brushed, and the triple shank band is also brushed. 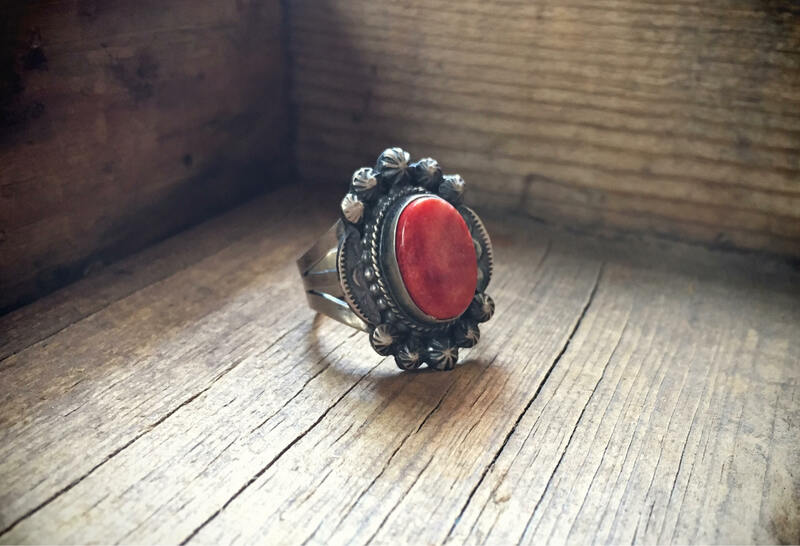 Super lovely and the red is stunning when worn with turquoise, which you can see in Photo 5. 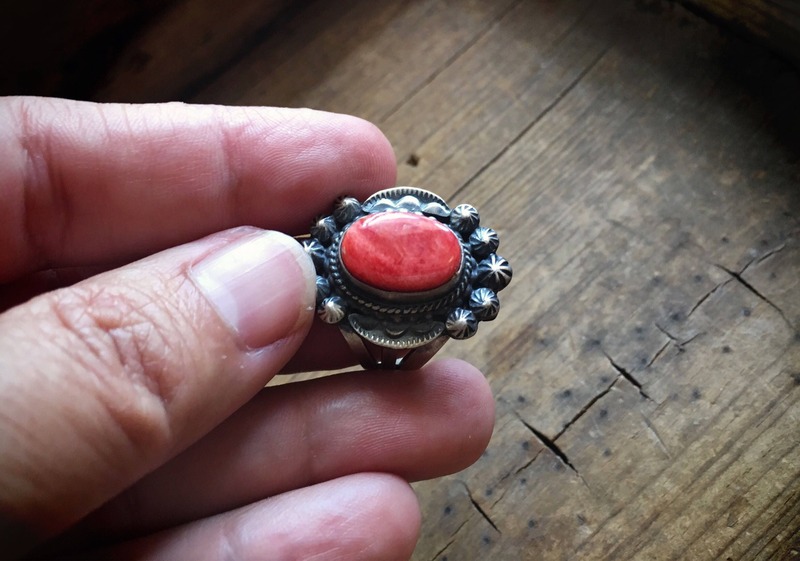 The ring face measures about 7/8" across at the widest point by just over 1" long. 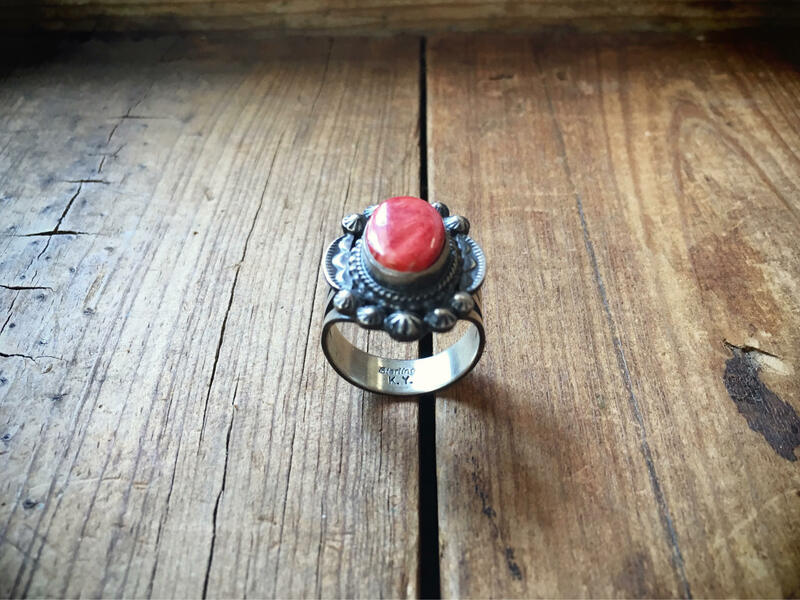 Ring face sits on a triple shank band that complements the design of the ring. 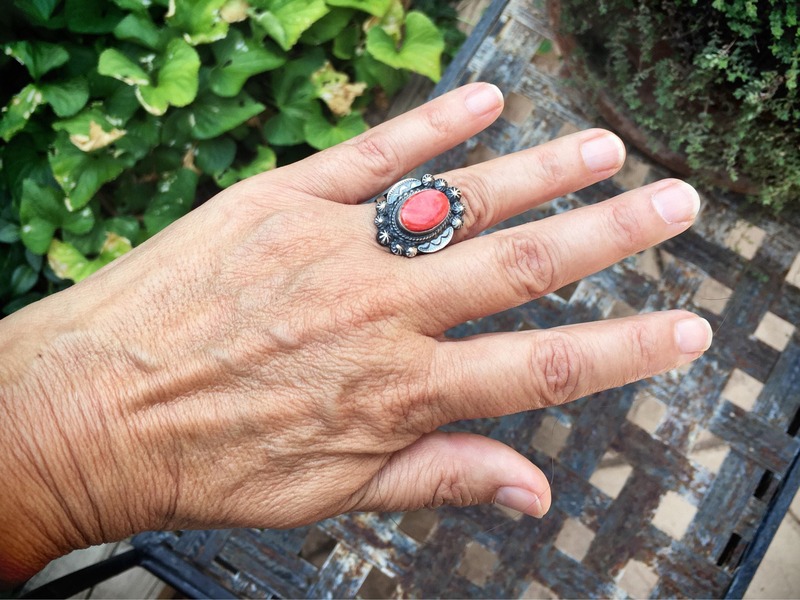 Interior of the band carries the artist's hallmark K. Y. and STERLING.